Sister Janet Marcisz was born in Chicago, Illinois, the oldest of the four children of Theodore and Irene Gabor Marcisz. In 1948 she and her family moved to the Rogue Valley near Medford, Oregon, with several aunts, uncles, and cousins. Uncle Jim, who had served in White City, near Medford, knew the area would be the best place to raise a family. 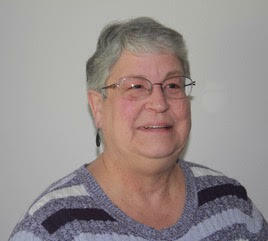 Janet, her two sisters and brother attended Sacred Heart Elementary School and St. Mary’s High School. She remembers the peace, joy and love of her Holy Names teachers for her and all the students. In the fall of 1965 Janet entered the Sisters of the Holy Names at Marylhurst. After graduating from Marylhurst College, she began her career in education as a first grade teacher at St. Ignatius Grade School (Portland). On that first day of school, she recalls the “new” first graders kept arriving at her door until she had 32 faces before her. Two years went by happily. She professed final vows in 1973 and then taught first grade in Medford where she had been a first grader herself. Continuing her journey with 6-year-olds, she moved from Medford to teach in Lake Oswego, The Dalles, Salem and finally St. Paul Parish School (Eugene). Those 17 years at St. Paul’s were busy and happy, watching her kindergarten students finish grade school and attending almost all of their graduations from Marist High School. As a teacher, Sister Janet’s greatest desire and love was to show her students how much Jesus loves and cares for them. After 38 years of teaching she retired, giving her more time to spend with her aging parents. In addition she is able to pursue her love of creation. This appreciation of God’s creation was always evident during her teaching career as she and her students planted bulbs each year around St. Paul School. Now Sister Janet has time to really get her hands into the soil. As an OSU Master Gardener, she continues learning and teaching God’s love for us through his gift of creation. Gratitude is the feeling deep in her heart. Her family, her religious community, students, and friends have guided her to this point and they are true blessings. She is thankful for each one.